Welcome to 69 Waterfront Drive on Washington’s Landing. 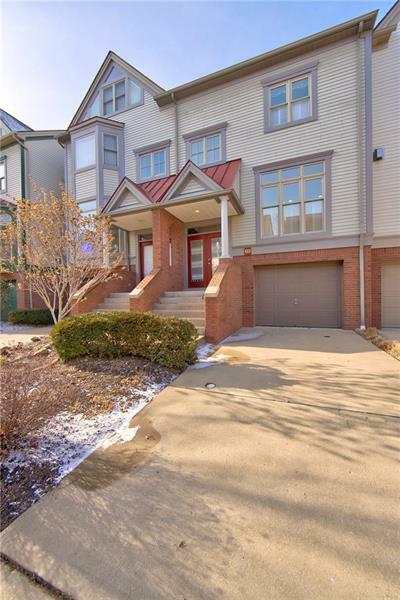 This unique townhouse is move-in ready. Open floor plan with rich hardwood floors. French doors with transom open to spacious deck overlooking the water. Living room & dining room with crown molding, gas log fireplace w handsome carved mantle. Kitchen with corian counter tops. Master en-suite with luxurious soaking tub & shower. Three bedrooms. Third floor suite with full bath. Integral double car garage. Enjoy all Washington’s Landing has to offer: walking & bicycling trails, onsite marinas inc Three Rivers Rowing Association, tennis courts, Redfin Blues Restaurant. Minutes to Downtown Pittsburgh & The Cultural District, stadiums. Close to Universities, medical centers, hospitals. City living on the water with green space.